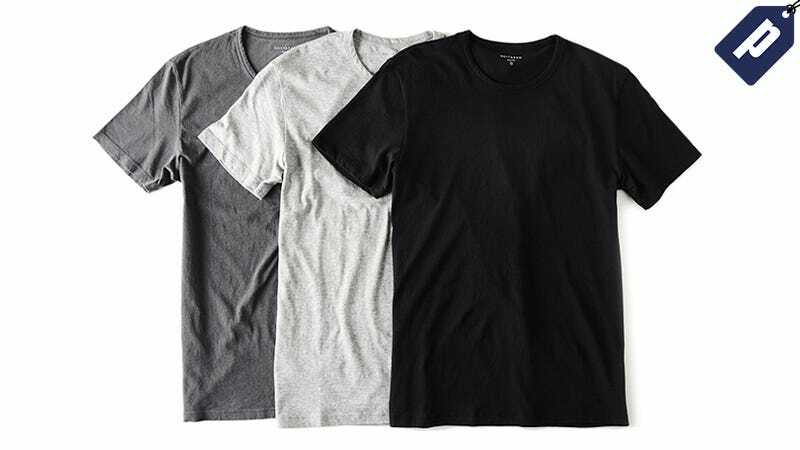 The Mott & Bow tees collection is made from 100% combed cotton jersey that’s preshrunk with a binded neck. Sporting a classic fit that’s not too slim, nor too loose, the tees are available in handful of colors in both v-neck and crew neck styles. Save 20% on your first order and snag a tee starting at $24. Full details here.